Hawaii’s the land of natural beauty, with soaring mountains, lush forests and majestic beaches. Naturally, you don’t want to spend your hard-earned Hawaiian vacation trotting around in high heels! It’s always a great idea to bring some walking shoes on a trip, even if you plan to spend your days and nights in your Sunday best. You never know what could strike your fancy during the trip, whether it be a stroll in the park or an exciting zip-lining tour! If you go to Hawaii, you’ll likely spend at least a few days on Oahu, so I’m going to share a few good reasons to bring your walking shoes to this island. Sensible shoes, like sneakers or other rubber-soled footwear, are essential to having a comfortable time on the plane, walking on uneven ground and seeing the sites of Oahu. Even if you don’t bring any walking shoes to Hawaii, “slippahs” are sold practically everywhere on the island, including pharmacies and supermarkets! How about a walk in the dozens of state and local parks located on Oahu? A pair of walking shoes could save you a night of aching feet after you’ve spent a few hours walking around the lush, tropical areas of any park. Imagine trying to hike in loafers or heels! Walking shoes are essential to taking hikes around Oahu. Whether you’re prepared for a 20-mile trek into the jungle or for a short, casual walk up to see the Makapu’u Lighthouse, there is lots of walking to do on Oahu. One easy area to do a little walking is at the Aiea Bay State Recreation Area. This state park is off Kamehameha Highway at McGrew Loop, near Aloha Stadium in Aiea. There are lots of picnicking opportunities there, as well as views of Pearl Harbor and the Arizona Memorial to boot. The Pearl Harbor bike path even passes through the park. Another notable state park for visitors is the He’eia State Park. The park is located off the Kamehameha Highway at Kealohi Point in He’eia. This coastal site is fabulous for picnicking and has good views of Kane’ohe Bay and the He’eia Fishpond. There are even community programs at certain times of the year. Not looking to be lunch for the mosquitos? Check out the ‘Iolani Palace State Monument in downtown Honolulu. This park is the home of the royal palace of the Hawaiian monarchy. Officially dedicated in 1882, the ‘Iolani Palace served as the setting for the monarchs and their courts on formal occasions. You can get a guided tour of the palace with advance reservations. Be sure to check out Tom Barefoot’s Tours if you’re looking for a great tour. Since 1975, they have been the trusted way to book fun activities in Hawaii. They even have a low price guarantee, so you know you’ll save when you book with them. On top of the great tours, the landscaped grounds of the ‘Iolani Palace are popular for informal lawn picnics and Friday noon concerts. The palace area is also known to be a leafy refuge in the heart of busy downtown Honolulu. If looking at nature is not in the cards, shopping is your next best bet. You can spend days strolling the shops and the International Market in Waikiki, the Waikele Outlets in Kapolei, and the Ala Moana Shopping Center and Pearlridge Shopping Center, to name just a few. Don’t hesitate to see the island neighborhoods, either! 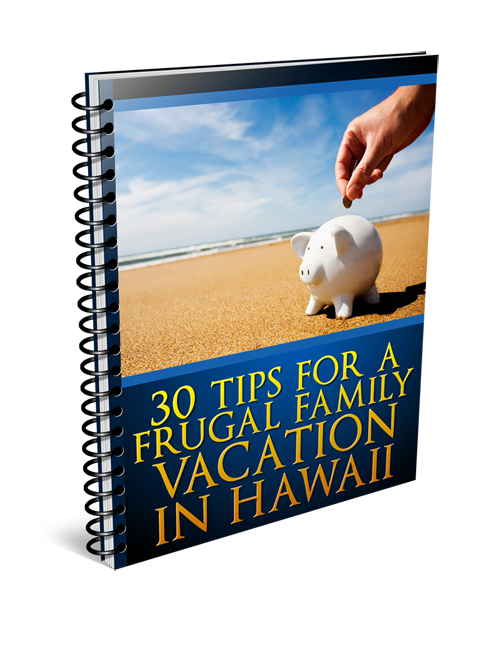 You don’t have to confine yourself to the crowded tourist areas, such as Waikiki. Residents welcome out-of-towners like family, and there are many nice neighborhoods to jog or stroll through on your trip. This is a terrific opportunity to see how the locals live. Areas worth experiencing are Kailua, Hawaii Kai and Manoa. These neighborhoods boast amazing mountain and ocean views. Some of these areas serve as entrances to both long and short hikes up the mountain ridge. A simple Internet or guidebook search can lead you to the right hike for your skill level. Keep your wits about you if you decide to venture off the beaten track. If you wind up entering an area and feeling uncomfortable or unwelcome, trust your instincts and leave! The odds are good that you’ll have a fantastic time in the cities, villages and wilderness alike. 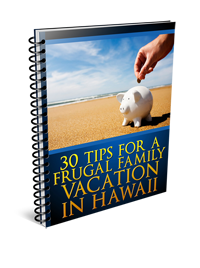 In the end, you may decide you want to move to Hawaii!